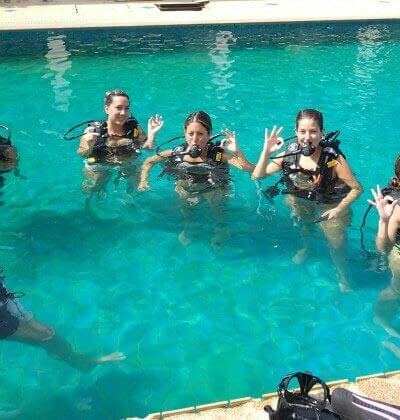 The price is all inclusive of hotel transfers (southern area of Phuket) each day of the course, PADI materials and certification fees, equipment, breakfast, lunch drinks and snacks on the boat. There are added costs when you require a pick up north of Patong. Not Available 15th December – 15th January. Knowledge Development which can be done online, with the PADI Freediver Touch App. This will give you a greater understanding of advanced freediving principles through independent study, this is a great way to get started prior to coming to Phuket, alternatively your instructor may conduct class sessions. Confined Water Sessions to learn stretching and relaxation techniques as well as refine static and dynamic apnea. 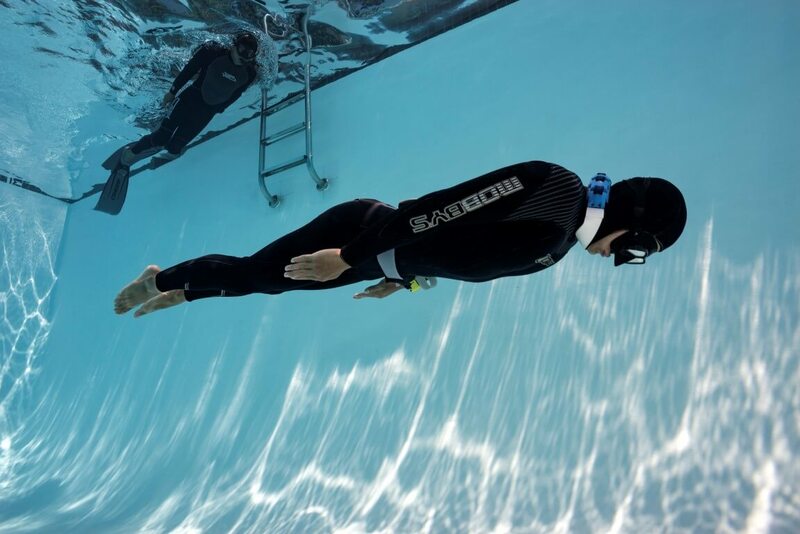 The goal of the Advanced confined water session is to reach a static apnea of 2 minutes, 30 seconds (2 minutes for freedivers younger than 18) and dynamic apnea of 50 metres/165 feet (40 metres/130 feet for freedivers younger than 18). 2 Days for open water sessions at Racha Yai to practice deeper free immersion and constant weight freedives, along with additional buddy procedures and rescue techniques. With the goal of achieving a constant weight freedive of 20 meters/65 feet (15 metres/50 feet for freedivers younger than 18). 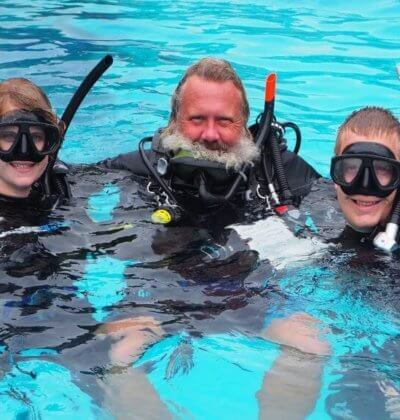 To enroll in the PADI Advanced Freediver course you must be 15 years old or older. Have a PADI Freediver certification. In the PADI Advanced Freediver course, you need to have a free diving mask (low volume recommended), snorkel, freediving fins, wetsuit and weight belt. Your instructor may allow you to use monofins. You’ll also need a surface signaling device and a freediving computer (or depth gauge and timer). When you enrol in this course Aussie Divers Phuket will provide you with the PADI Freediver Touch tablet app (for use with a smartphone/tablet). The Touch is an interactive study tool that gives you the background information you need to freedive safely and allows you to study at your own pace. 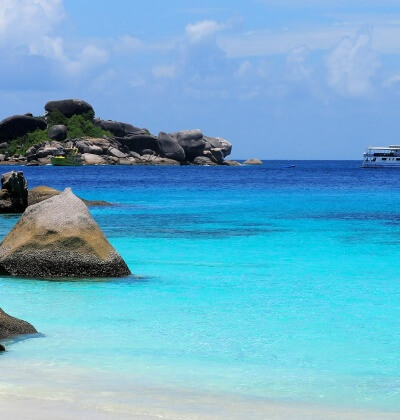 You don’t have to wait until you are in Phuket to get started. You can begin with PADI eLearning and the PADI Freediver Touch app and you can begin now! The PADI Freediver App lets you learn the background information you need before each dive at your own pace through friendly, interactive learning.